Shopping for Planes Model Kits? Bring the Disney Planes Fire & Rescue movie to life! 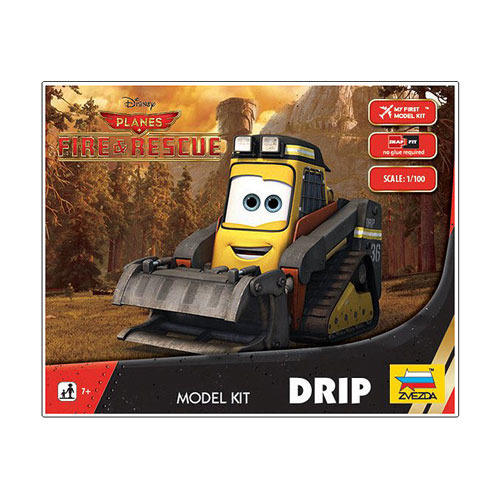 This Planes 2 Fire & Rescue 1:100 scale Drip Vehicle Snap Fit Model Kit is the perfect thing for you to enjoyably recreate the fun adventures of the movie. Plus, because it's a snap-fit model kit, you don't have to worry about messy glue for assembly! Requires paint, not included. Imported from Russia, these model kits will most likely come with Russian instructions. Ages 7 and up.